We are proud to unveil our project giving back to our community! As 2019 is getting into full swing, it is time to start the year right by giving back to our community. 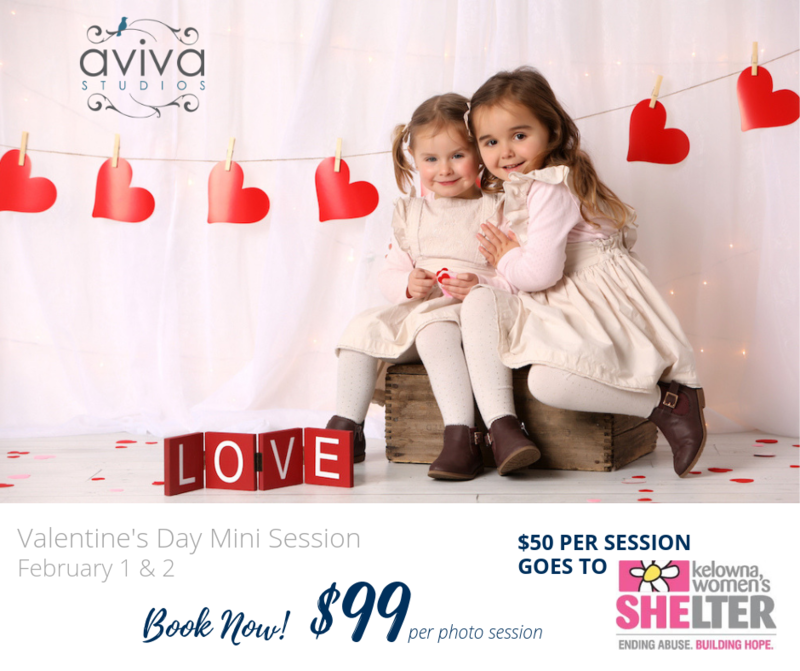 It is our goal with “The Aviva Project” to raise $2000 for various charities throughout the Okanagan using Photo Mini Sessions. This is our kick-off session and we are taking bookings NOW so be sure to save a spot as they will go quickly! additional images can also be purchased – 5 additional photos for $75. All images for $150. 10% of all additional orders will be donated to our partner charity. If you are unable to make this particular session, please check back as there will be lots of great Mini Sessions coming up throughout the year.